The original edition was a cleaned up manuscript that was published well after the death of Allan Ward, and bore only his name on the cover. This edition adds Durward Sobek to the author line. Sobek was a student of Ward and today stands on his own as someone whose views should be respected. I am not going to try to compare the two editions, rather look at this new book as it stands on its own. Rather than wait and write a big long review, I am going to publish short posts as I come across key points of note – hence the subtitle of this post. I am already seeing a tight link to the leadership model outlined in Toyota Kata. A general manager of Toyota’s Advanced Vehicle Development department was asked how he spent his time. He replied he spent about 2 hours a week doing administrative work, and the rest of the time “on technical problems.” Before I remark about the “technical problems” consider the first bit. How much time do your department heads spend administering vs. contributing to the development of the organization? “But every technical problem is also a personnel problem, because the problems don’t get to me if my people know how to solve them. So all of the time I’m working on technical problems, I’m also teaching someone. To paraphrase the next paragraph in the book, the solution to personnel problems is to teach. So already, in the first couple of chapters, we are establishing an environment that doesn’t simply produce engineering designs. Those, I suspect, are an outcome of deliberate processes to build the organizational competence and clarity. We’ll see. More to come. One of the many good points that struck me was that you can’t rally around an ROI. Yet companies try to do just that. They set something ROI or margin objectives, and wonder why everyone doesn’t pick them up and run with them. Even companies that do issue a good challenge often come up wondering why the organization doesn’t align around it. Rother mentions one good reason: Nobody is there to coach them through meeting their part of the challenge. A similar fallacy is trying to rally people around an abstract vision. I have experienced this a couple of times. A company tries to apply general education to people – lots of it – in the (vain) hope that once people “understand” then they will pick up the ball and run. But without consistent direction toward a limited objective that is easily articulated, people freeze up. “What do we work on?” There are too many choices. Chip and Dan Heath discuss the importance of a rallying point in their book about culture change, Switch. They talk about “Pointing to the Destination” and “Scripting the Critical Moves.” When we talk about an aligning challenge, we are saying the same thing. Remember – in these initial stages you are trying to infuse a fundamental behavior and culture change. You can’t just tell people what it is and expect things to change tomorrow. Classroom training may teach people the words, but it does little to accelerate the process of learning on the shop floor. That takes leadership. 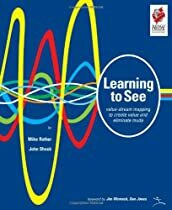 One of the concepts that Rother discusses in Toyota Kata is the concept of “True North.” Spear also talks about it as striving toward the ideal process. Same thing, different words. But at another level, when we are trying to shape a different management system, it is equally important for the leaders to have a “true north” for the ideal leadership process. I think this is different (or should be expressed differently) from the True North of the ideal value-adding process. This is Part 2 of a multi-part review. Part 1 is here. In my review of Kaizen Express back in May, I took LEI to task for two things – First, I didn’t feel Kaizen Express contributed anything really new to the body of knowledge. I would have been satisfied if it had more clearly explained what had been said before, but it didn’t do that either. 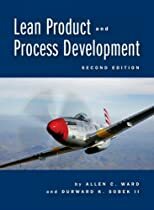 Second, and more importantly, I felt that Kaizen Express, and the LEI in general, were propagating the conception that the tools were what defined “lean” and that “the tools” were “the basics.” I disagreed on both points, and still do. I am now about halfway through The Lean Manager, and I believe this book is addressing those issues – and hopefully challenging some of the thinking within the publishers. In other words, in its content, this book is everything that Kaizen Express isn’t. Get it. Read it. Do what it says, and you will actually be implementing the basics. And with that, the rest of the story follows – this fictitious plant manager under fire in this fictitious company sets out to do that. The subsequent chapters (so far – remember, I haven’t finished the book yet) are Go and See, which hammers home the importance of the leaders – all of the leaders being present, not just to witness problems, but to ensure they are being solved by the right people, in the right way. Further, they must break down any barriers which impede that flow. And it’s not just the leaders. Ultimately, the entire shop floor is organized so that everyone is immersed in genchi genbutsu every time a task is carried out or work is performed. This becomes the check in PDCA. Chapter 3 is titled Managing is Improving and begins the confront the psychological and organizational aspects of the changes that are now coming to a head in the story. This part requires the most creativity on the part of the authors, as it is an entirely human process. Because it is a human process, not a technical one, it is impossible to write a technical manual on how to do it. It requires knowledgeable, dedicated leadership that is humble enough to stake out a position that might be wrong, knowing that doing so improves the chance of learning something. And that has been the issue in our industry. It is far, far easier to describe the tools in excruciating detail than it is to confront the leadership and organizational change issues. And because the technical descriptions predominate the literature (including, and especially what has come out of LEI for the last 10+ years), it is far easier to believe that “implementing the tools” is something that leaders can delegate to specialized technical staff. This book, so far, is (rightly) turning that thinking on its ear.